Make a reservation for your Valentine! More Delicious & Healthier for you! Thank you very much for your continuous support given to VegiLicious. We are proud to announce that we have recently further improved the quality of our water and rice. Enjoy Hula Show at VegiLicious! We are excited to announce that we will have a live hula show soon! 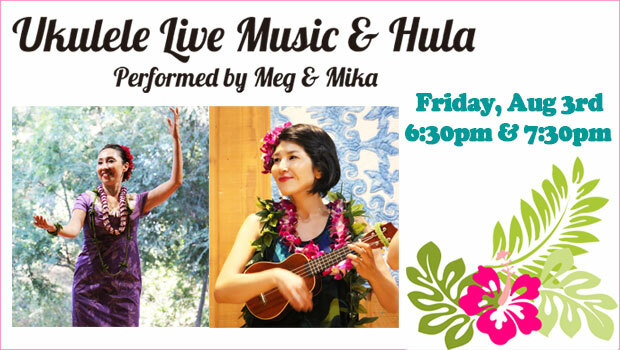 Hawaiian traditional hula will be performed by Meg along with Mika's ukulele on Friday, August 3rd at 6:30pm & 7:30pm. Come out and enjoy our truly innovative vegan food, coupled with the truly traditional hula. Only at VegiLicious. No cover! (Tips for Meg & Mika, please.) Come early and get a nice table! * When there is a waiting party at 7:20pm, just before the second stage, some of the parties who have seen the first stage and already finished the meal might be asked to let the waiting party have the table. 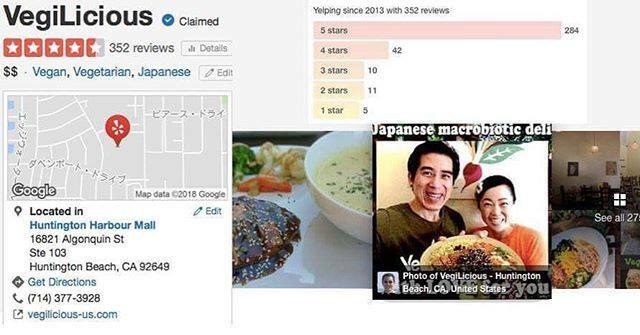 Thank you for making us be the top rated vegan restaurant! We need a number of customers that is appropriate for the high rate.